Deciding to change careers isn’t always easy—in fact, it can be downright scary. For Data Science Career Track alumni Karen Masterson, though, her passion outpaced her fear. Since a young age, Karen’s loved learning about language. As she got older, she started making the connection between programming languages and ancient languages, and began to see parallels between programming languages and natural ones. Karen was updating her Ph.D. dissertation on an information theoretic approach to languages when she realized her once-theoretical topic was now at the cutting edge of today’s technology in natural language processing and artificial intelligence. That helped her make the decision to go back to work full-time in tech after raising her kids. While researching options for learning data science, Karen realized she wanted a course that would help her master the skills necessary to succeed in the real world. She knew she didn’t want to pursue another academic degree—she wanted a self-paced course with a clear, rigorous curriculum and proven career outcomes. 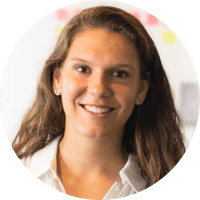 With its career coaching, mentorship, and accountability throughout, Springboard’s Data Science Career Track was exactly what she was looking for. The cherry on top? The program’s job guarantee. During the course, Karen’s success was bolstered by her love of learning and language. 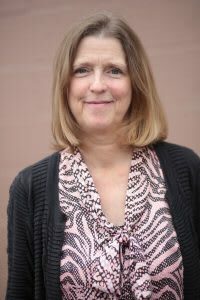 With her linguistic background, she made unique connections around the shared understanding of language and programming. What surprised Karen the most, though, was how much she just really loved doing it. Karen’s mentor provided the accountability she needed to stay on track. When it came time to meet with her mentor every week, she knew she had to have something to show for what she’s been working on. For her first capstone project, Karen had a few ideas that she wanted to pursue. Her mentor helped hone in and select a data set that was relatable to her. Karen ended up utilizing a marriage and family data set for her project. The complexity of the data set was a challenge; there were more than 3,500 variables, since the data came from a questionnaire that was done by a government agency on different aspects of family and family growth. There were a lot of null answers—things data scientists deal with often. 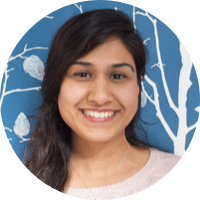 Karen gained experience in data exploration and visualization in order to pare down the data set to its most significant 70 variables—and that was before even applying any machine learning algorithms! 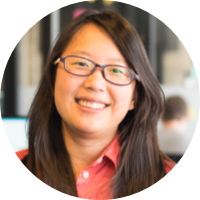 To complete her project, Karen utilized some of the machine learning algorithms in scikit-learn that she felt would work best with a binary classification problem like the one she was working on. Scikit-learn provides different models to come up with predictions, a process Karen found exciting. “The fact you can use feature engineering to create a target variable for a data set that’s either yes or no, and run a series of algorithms, compare which one makes the best predictions, then tweak the parameters to come up with more accurate predictions… it’s fascinating,” she said. 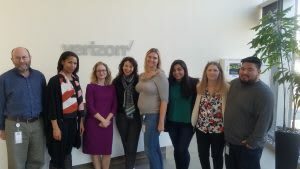 Since completing Springboard’s Data Science Career Track, Karen’s earned a role as a data analyst for Verizon Digital Media Services. Her days are spent solving problems using a practical application of language processing, and tools like SQL and Hadoop. She loves what she’s doing and feels it’s the path to even greater and more exciting roles. As for the future, Karen plans to continue her research in data science—and maybe learn another language or two! Interested in a career in data science? Check out Springboard’s Data Science Career Track today.